A kitchen with granite countertops can offer a high return on investment for a staged home. It is no secret that home buyers love kitchens, and many are perfectly willing to shell out extra cash for homes with remodeled kitchens. And, of course, one of the things buyers focus on most in a kitchen is the countertops, where granite still holds one of the top spots. 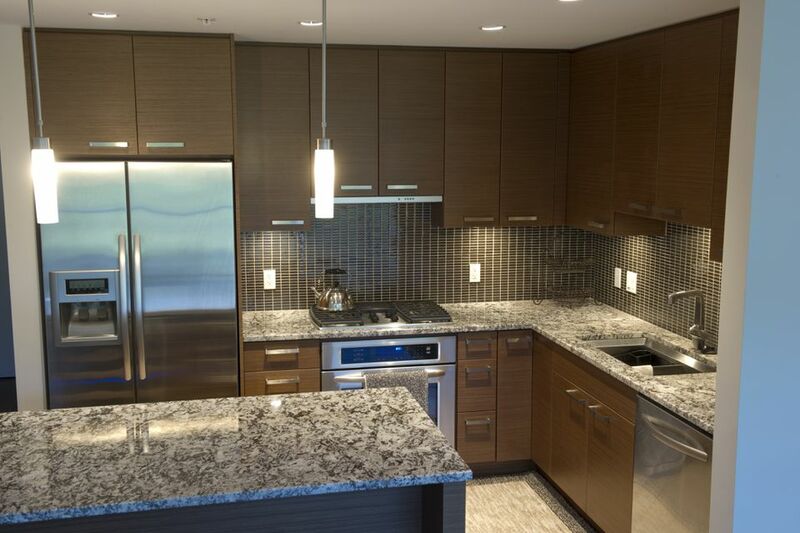 When choosing a granite color, you have many more options beyond the common browns, grays, and tans. Consider black, as well as some of the less common color groups, before making a decision. If you want your kitchen to look elegant, install black granite countertops. Pair them with neutral cabinets for a classic look. Black countertops look good in rooms with large windows that bring in a lot of natural light. They provide subtle elegance and can give a room timeless appeal. While black granite is almost solid black, it has silver specks and sparkles when light hits it. If you think black countertops will create a shrinking effect in your kitchen, you can mix them with white cabinetry. White granite countertops work well in kitchens with new appliances and trim. You can mix white granite with modern appliances for a contemporary look, or you can create a traditional look by pairing the granite with vintage appliances. The best thing about white granite is that it’s very versatile. However, if you buy the wrong shade, your kitchen will look washed out. When you visit the store, request to see several color options before you choose a hue. Be aware that pure-white granite is hard to find, as most white stone contains black, gray, blue, or red flecks. Red granite has a rich history. It can be found in ancient Egyptian pyramids and was used by Egyptians for building and decoration. It comes in many shades and patterns, ranging from bright pinkish reds to deep, rich burgundies. Some red granites have blue, white, and silver highlights. and it's this combination of colors that makes it brilliant. Install red granite if you want to add an energetic feel to your kitchen; just be sure to pair it with neutral cabinetry to prevent it from overpowering the room. Green granite is earthy and has brown and gray undertones. Some types have markings that look almost geometric. Green works well with painted cabinets and shiny hardware. It also creates an earthy feel when paired with wood cabinetry and bronze fixtures. Since green is the color of nature, green granite can give a room a natural look and a relaxing atmosphere. Valued for the beauty of its patterns, blue granite never disappoints. Its patterns are divided into two categories: homogeneous and veined. Homogenous means the granite’s minerals are evenly distributed to form a pattern, while veined means minerals form swirls in the stone. Most blue granites have blue and black bases, while some have gray, white, and brown bases. The most popular blue granites are the Azul granites, which are prized for their consistent patterns and versatile coloring. Your Window Treatments Could Be a Selling Point!